The thin plastic lids that ship with these bins make an unstable surface. It’s fine for plopping a purse or keys down on, but you wouldn’t trust it with a mug of hot coffee. Which is the one thing we actually use an end table. Now don’t go thinking we just stuck some random board on top. This is a very special finished board with a cushion underneath. 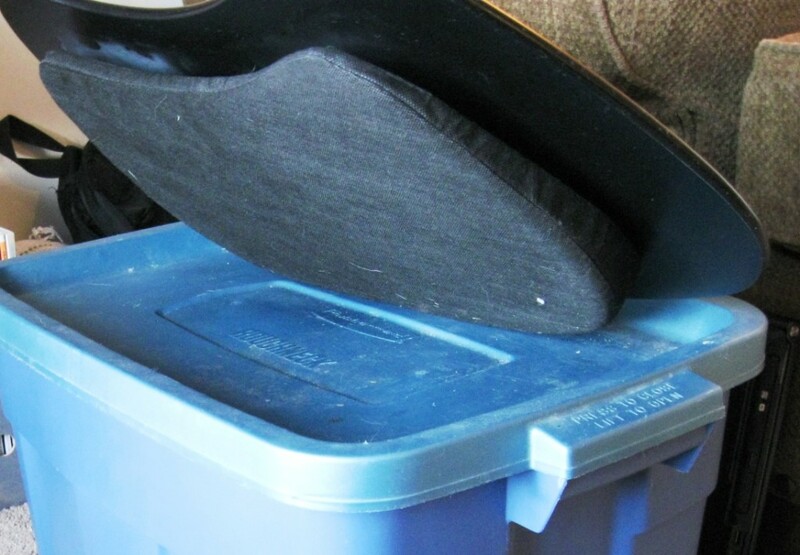 And this cushion is the exact right shape to fit perfectly into our Rubbermaid lid. This means that no amount of jouncing and jittering will buck the surface from the table. Although the cushion is angled, the surface of the desk remains level. 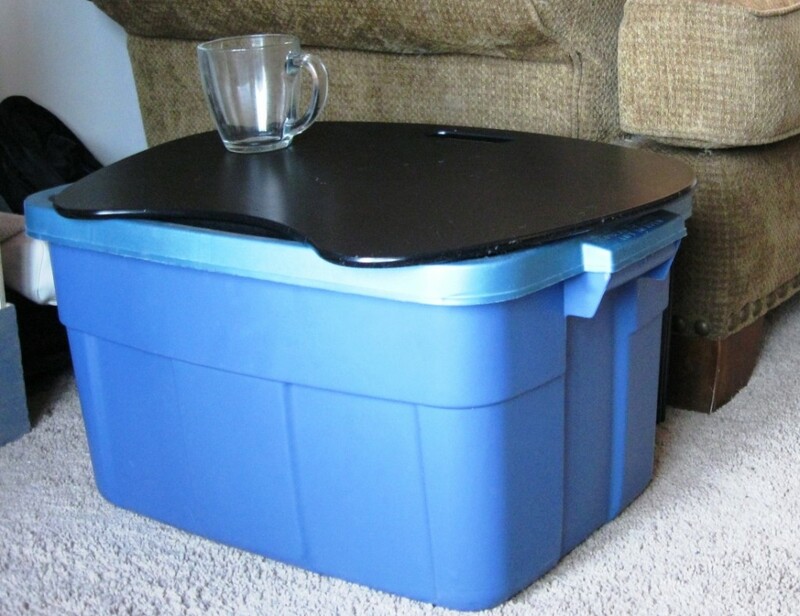 The desk rests on the lip of the Rubbermaid lid rather than on the cushion. The cushion only serves to hold the desk in place and provide some extra grip between the two. The desk top we’re using for our bucket end table is called a “HandStand Lap Desk“ – and that’s usually what we use it for. It’s not so much to keep your lap cool as it is to protect your laptop from heating up too much and blowing a gasket or something. And now w’e’re getting double duty from our lap desk. Two surfaces in one! For a little more elegance consider a colour that matches the couch. How many colours do these Rubbermaid tubs come in anyway?